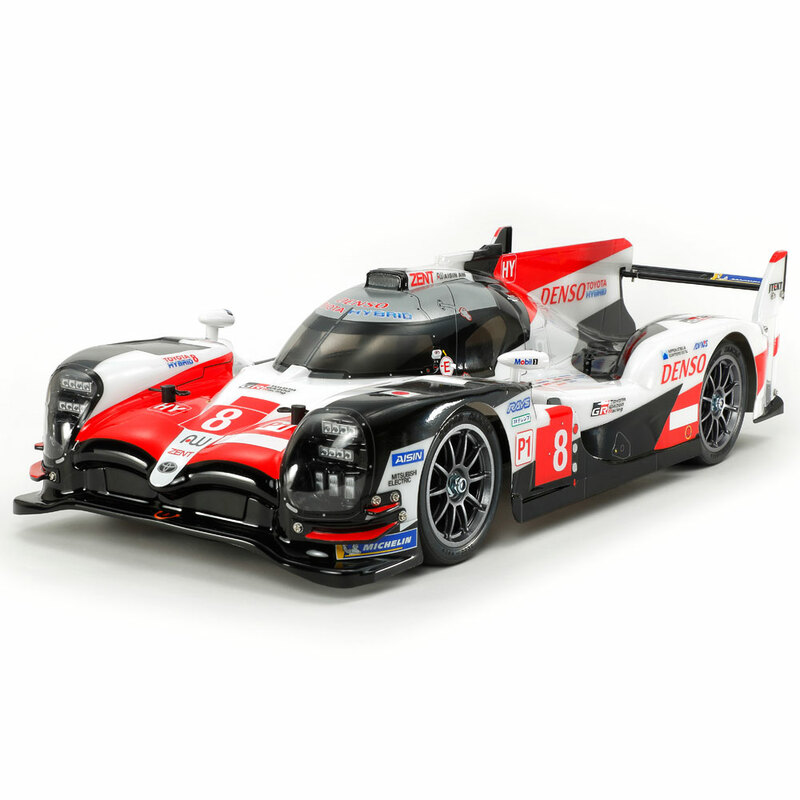 This is an R/C model assembly kit recreating the 2018 iteration of the TS050 Hybrid, a car developed for racing by TOYOTA GAZOO Racing. A lightweight and durable polycarbonate body captures the aerodynamically honed form in style, with separate parts included to recreate nose, headlight cases, canards, rear wing and shark fin. Stickers are included in the kit to depict not only the numerous sponsor logos, but also parts of the livery red and black sections, and the model can be completed as car No.7 or No.8. The F103GT chassis gives a crisp drive and fuss free assembly. Separate polycarbonate parts for light cases and canards. Separate polycarbonate parts for rear wing and shark fin. The front employs link-type arm and coil spring left/right independent suspension setup. The rigid rear setup uses an FRP T-bar, plus friction plate and coil spring unit. The adjustable gear case allows setting of ground clearance, and contains a ball diff. The F103GT chassis provides high-efficiency 2WD direct drive for plenty of fun. Electronic Speed Controller (ESC) is sold separately.